Much of the trail coincides with the long-distance trekking route GR-48. All year, although only the lower, shadier part of the trail should be attempted in the most sweltering summer heat. The whole trail would take nearly all day starting in the morning. The best times for dipping into parts of the trail are evening and dusk. 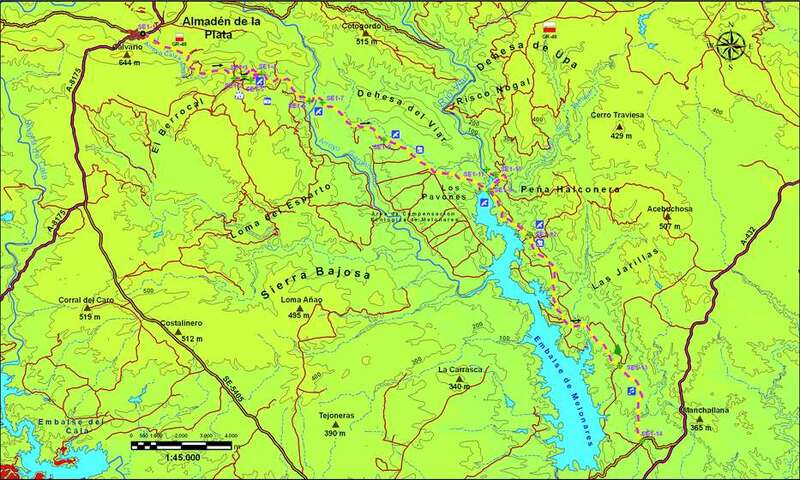 The River Viar sidles out of the Sierra through a wide-open, sun-drenched valley of great geological interest. Here, amongst pastureland, dehesas and thickly scrubbed hillsides, it receives the tribute of the Arroyo Gargantafría, both damned in Melonares Reservoir. Variety is the keynote of this trail: Golden-, Imperial-, Bonelli’s- and Short-Toed-Eagle, Osprey, Griffon- and Cinereous-Vulture, Hen Harrier, Black Stork, Great White Egret, Grey Heron, Night Heron, Cormorant and Hawfinch, together with diverse orchids, narcissuses and dragonflies. This valley is also an important migratory corridor. 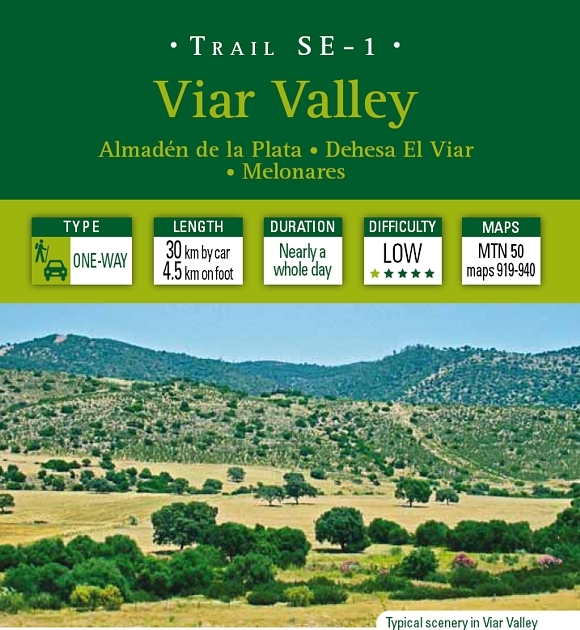 More information in the book Birding and Nature Trails in Sierra Morena Sevillana.